The King 2166 valve trombone combines the responsive and unique King valve section with the musical characteristics of the King 3B trombone. The .481" medium bore valve section and the 8" yellow brass bell provide a balanced and focused response. Nickel plated nickel silver piston material provides a durable finish with quick and smooth action. The clear lacquer finish provides a subtle warmth to the overall sound. 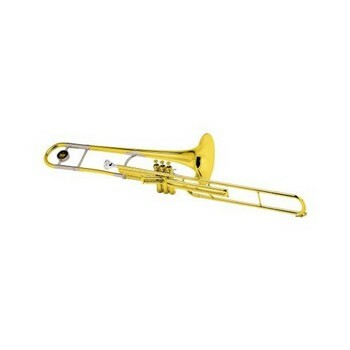 The King model 2166 valve trombone is designed for the player looking for a high performance Bb valve trombone. Available in silver-plate finish as model 2166SP.